He has performed in the U.S. with orchestras including the Cleveland Orchestra, Dallas Symphony, Los Angeles Philharmonic, Mostly Mozart Festival Orchestra, and Pittsburgh Symphony, and internationally with such ensembles as the Leipzig Gewandhaus and Philharmonia Orchestras; the Czech, Israel, London, Munich, Oslo, Seoul, and St. Petersburg Philharmonics; the Bavarian Radio, BBC, Berlin Radio, Danish National, London, and NHK Symphonies; and the Chamber Orchestra of Europe, Mozarteum Orchestra Salzburg, Orchestre National de France, and Tonhalle-Orchester Zürich. In recital, he has performed in prestigious venues and festivals around the world, including Carnegie Hall and David Geffen Hall in New York, as well as Amsterdam’s Royal Concertgebouw, Berliner Philharmonie, London’s Wigmore Hall, the Lucerne Festival, Tokyo’s Suntory Hall, the Verbier Festival, Vienna’s Konzerthaus and Musikverein, and Zürich’s Tonhalle. His discography comprises 13 recordings, including most recently a double CD of Liszt’s “Première année: Suisse” from Années de pèlerinage and St. François de Paule marchant sur les flots, released in 2018 by the Orfeo label along with a companion documentary on DVD by French filmmaker Bruno Monsaingeon. Upcoming recordings include Liszt’s “Deuxième année: Italie” from Années de pèlerinage, to be released in May 2019 by Orfeo; late sonatas by Schubert, to be released in September 2019 by Pentatone; and Mozart’s Piano Concertos Nos. 19 and 27 with the Scottish Chamber Orchestra under Andrew Manze, to be released in 2020 by Linn Records. Born in Locarno, Mr. Piemontesi studied with Arie Vardi before working with Alfred Brendel, Murray Perahia, Cécile Ousset, and Alexis Weissenberg. 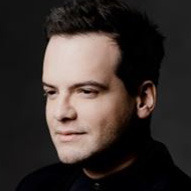 He rose to international prominence with prizes at several major competitions, including the 2007 Queen Elisabeth Competition, and between 2009 and 2011 he was chosen as a BBC New Generation Artist. Since 2012, he has been the Artistic Director of the Settimane Musicali di Ascona. For more information, visit francescopiemontesi.com.